One of the highlights of a trip to Scotland is a visit to whisky country. One of the highlights of a trip to Kentucky is a visit to bourbon country. And I’ve done both. How do they compare and contrast? I was expecting them to be totally different, but actually, they were a lot more similar than I could have ever imagined. Here’s a bit of a comparison. First, just a quick clarification for those of you wondering the difference between bourbon and whisky. So, we start out with a fresh, white oak barrel. The inside of this barrel is charred, and then inside we use a mash that consists of at least half corn, and inside that we make bourbon. The liquid inside sits in barrels for about four years (as little as two, but it can stay longer than four), and then it is bottled. After it is bottled, those barrels are sent to Scotland where they are re-used. In Scotland there are several variations (single malt, blended), but the whisky must stay in barrels in Scotland for at least 3 years, but normally they stay a lot longer than they do in Kentucky, mostly because the climate in Scotland doesn’t vary as much as it does in Kentucky. That’s just the differences in the production process. The difference in taste? In some cases, they’re miles apart (particularly Islay whiskies, with their peaty flavour). In other cases, they can be quite similar. What’s Different between Bourbon and Whisky Country? The main difference is the landscapes; both Kentucky and Scotland are beautiful, but they’re totally different landscapes – Kentucky being green rolling hills, and Scotland being a little more rough and mountainous. But of course, in Kentucky the distilleries are all concentrated around the area of Bardstown, whereas in Scotland you have the Speyside distilleries in the Highlands (my favourite area), the many distilleries on Island and the Islands too. So you really could see all of the stills in Kentucky, but in Scotland you’d have to choose – unless you’re doing a massive road trip, which I did and even I haven’t seen them all. Also, all the distillery tours in Kentucky are free, except one (Woodford – but people say it’s worth it). In Scotland, most of them have a fee, except for a handful, such as Glenlivet and Glenfiddich (the latter being my favourite tour). 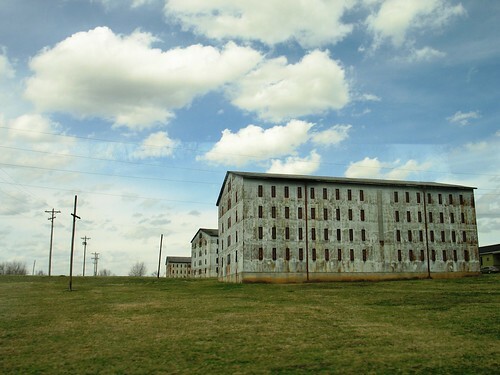 What’s similar about Bourbon and Whisky Country? The first striking similarity about these two destinations is the technology – it’s the same. Really, it’s exactly the same. While Kentucky has a lot of regulations that make the process a bit more convoluted – though you could say the same about Scotland – the stills are the same types, and the vats that do the fermentation, etc… all the same. Another interesting similarity is how each distillery tour is different, and so it’s worth visiting more than one just so you can see the differences. 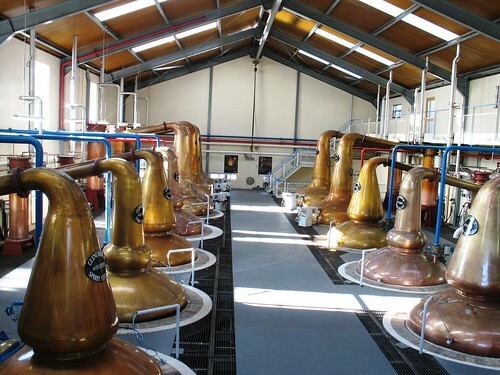 Some tours have more than one whisky/bourbon to taste, others are about the scenic viewpoints of the property, and others (see above) have shiny equipment they like to show off. 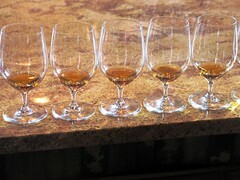 Lastly, I have to point out that both Whisky Country and Bourbon Country have a lot of hospitality. I felt very welcome in both. For example, at Glenfiddich, we were running late due to getting lost, and they went out of their way to get us on a tour that had just started, being it was the last tour of the day. Both. How else will you be able to taste your favourite?